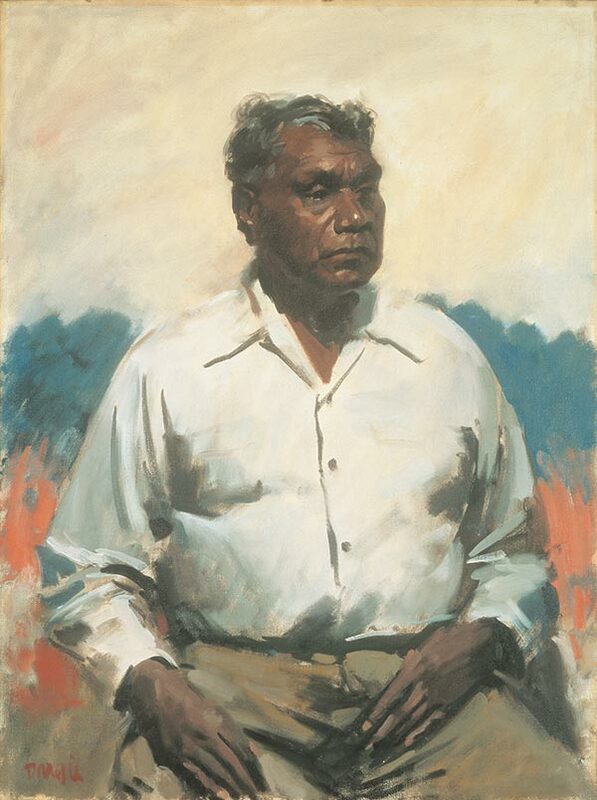 Today is the birthday (1902) of Albert Namatjira (born Elea Namatjira), a Western Arrernte-speaking Aboriginal artist from the MacDonnell Ranges in Central Australia, who was, without question, the most famous indigenous Australian of his generation, although then and now his name is probably little known outside Australia. His was a household name was I was a boy in South Australia in the 1950s and 1960s. Namatjira was born and raised at the Hermannsburg Lutheran Mission outside Alice Springs and showed interest in art from an early age. It was not until he was 32, however, when he met Australian landscape artist Rex Battarbee, whose work was displayed at the Mission, that he began to paint seriously in Western style under Battarbee’s guidance. 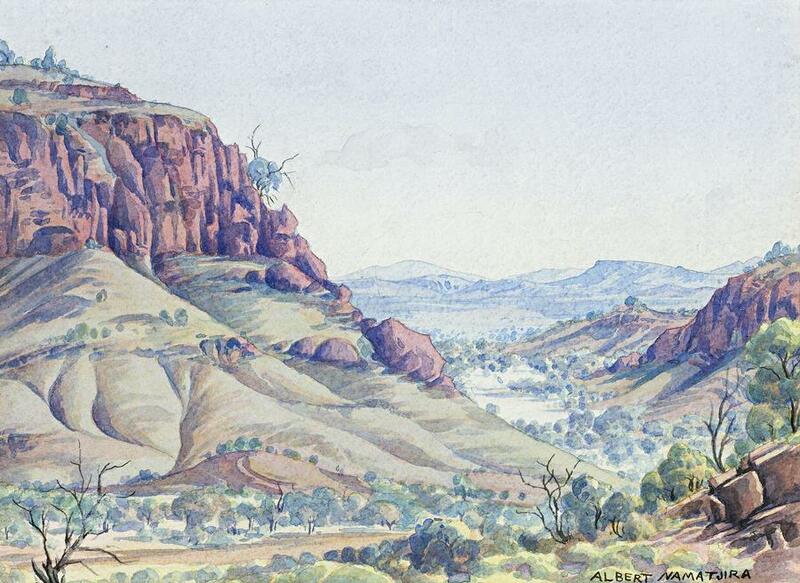 Namatjira’s watercolors of the outback gained popularity with Euro-Australians, perhaps because they were more easily assimilated into popular Western conceptions of art than traditional Aboriginal designs, and reproductions of his works hung in many homes throughout Australia. His success was a two-edged sword in so many ways. At the time, Northern Territory Aboriginal Australians were wards of State without the right to own property, vote, or buy alcohol. Namatjira was seen as a “success” story of assimilation into majority White culture, and towards the end of his life in 1957, he became the first Northern Territory Aboriginal Australian to be granted restricted Australian citizenship. Namatjira’s family were traditional Aranda (Arunta), but they converted to Christianity, upon which they baptized their son and changed his name from Elea to Albert. After a Western-style schooling at the Mission, Namatjira, at the age of 13, went into the bush for initiation and was exposed to traditional culture as a member of the Arrernte community (in which he was to eventually become an elder). After he returned to the Mission, he married his wife Rubina at the age of 18. 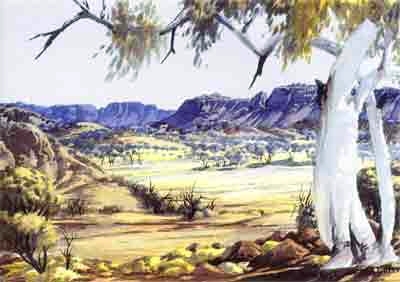 His wife, like his father’s wife, was outside the classificatory kinship system into which Namatjira should have married traditionally, and so he was ostracized by his clan for several years, during which he worked as a camel driver and saw much of Central Australia, which he was later to depict in his paintings. 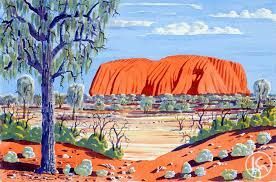 Namatjira was introduced to Western-style painting of the outback via an exhibition at his Mission in 1934 by Battarbee and John Gardner, both landscape painters from Melbourne who were touring Central Australia in a Model-T Ford converted to a camper. 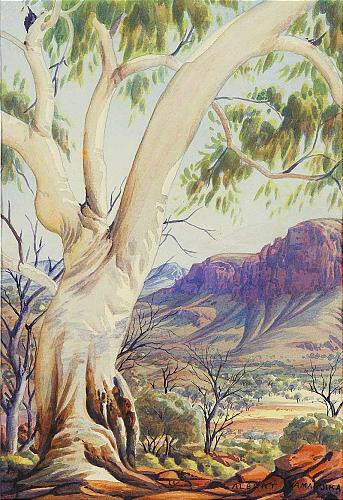 Battarbee, returned to the area in the winter of 1936 to paint the landscape and Namatjira acted as a guide to show him local scenic areas. 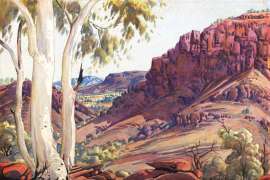 In return Battarbee taught Namatjira how to paint with watercolors. 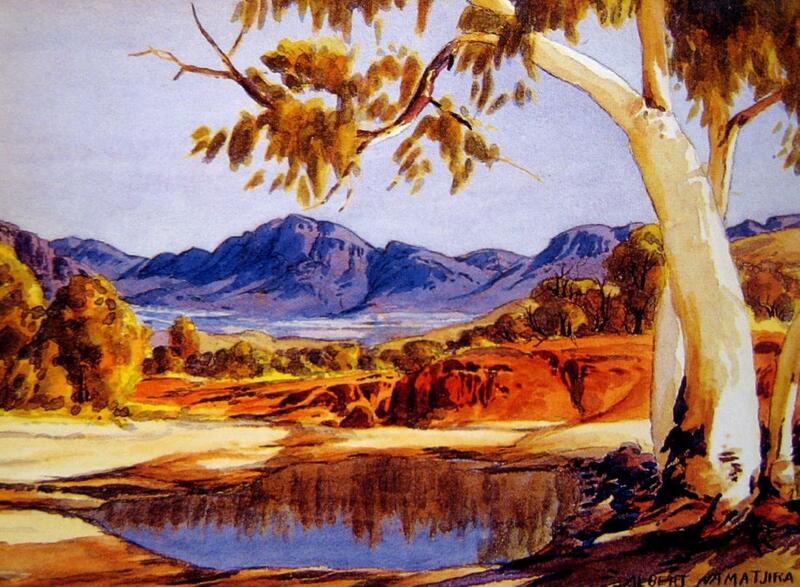 Namatjira began painting in his own style which quickly became recognizable as distinctive. His landscapes normally highlighted both the rugged geological features of the land in the background, and the Australian flora in the foreground with very old, stately and majestic white gum trees surrounded by twisted scrub. His work had a high quality of illumination showing the gashes of the land and the twists in the trees. 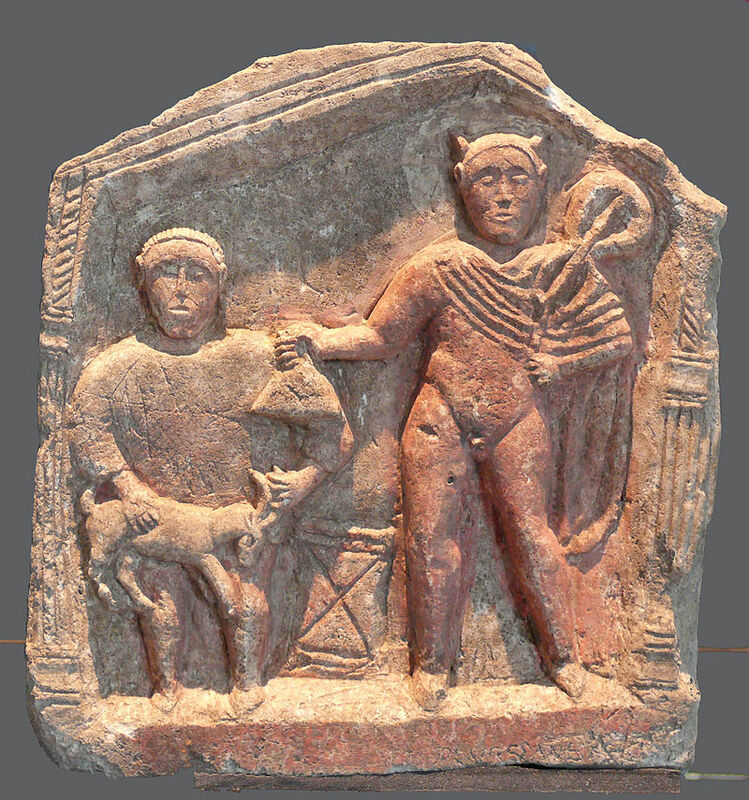 His colors were similar to the ochres that his ancestral kin had used to depict the same landscape, but his style was squarely within the norms of Western art aesthetics. 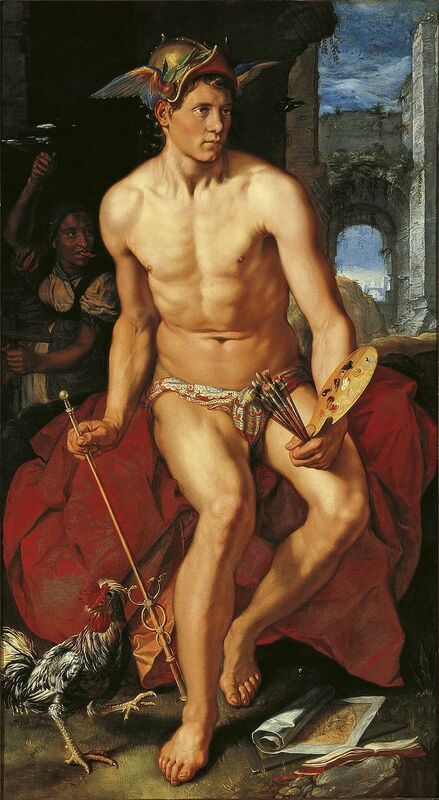 Almost from the start his art was appreciated popularly in Australia, but always had a mixed reception from the art critics. 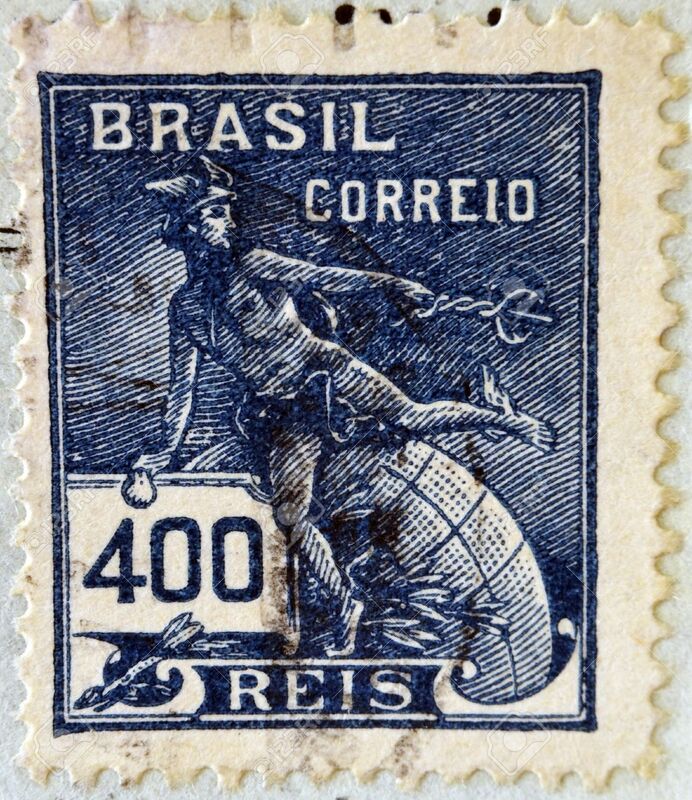 These were the days when the Western modern art world was (ironically) more attracted to “primitive” or indigenous art styles and classic watercolor landscapes were out of vogue. In 1938 Namatjira held his first exhibition in Melbourne, and subsequent exhibitions in Sydney and Adelaide quickly sold out. For the next ten years Namatjira painted ceaselessly, his works continuing to sell quickly, and his popularity continuing to rise. Queen Elizabeth II became one of his more notable fans and he was awarded the Queen’s Coronation Medal in 1953 and met her in Canberra in 1954. Not only did his own art become widely recognized, but a painting of him by William Dargie won the Archibald Prize in 1956. Apart from becoming popular and critically acclaimed, he also earned a lot of money. Due to his financial success, Namatjira became the subject of “humbugging” among his kin – a ritualized form of begging (associated with the nomadic, forager lifeways of the indigenous peoples). Arrernte are expected to share everything they own, and as Namatjira’s income grew, so did his extended family. At one time he was singlehandedly providing for over 600 people.To ease the burden on his strained resources, Namatjira sought to lease a cattle station to benefit his extended family. He was originally granted the lease but it was subsequently rejected because the land was part of a returned servicemen’s ballot, and also because he had no ancestral claim on the property. He then tried to build a house in Alice Springs, but was cheated in his land dealings. The land he was sold was on a flood plain and was unsuitable for building. The Minister for Territories, Paul Hasluck, offered him free land in a reserve on the outskirts of Alice Springs, but this was also rejected, and Namatjira and his family took up residence in a shanty at Morris Soak—a dry creek bed some distance from Alice Springs. Despite the fact that he was held as one of Australia’s greatest artists, Namatjira was living in poverty. 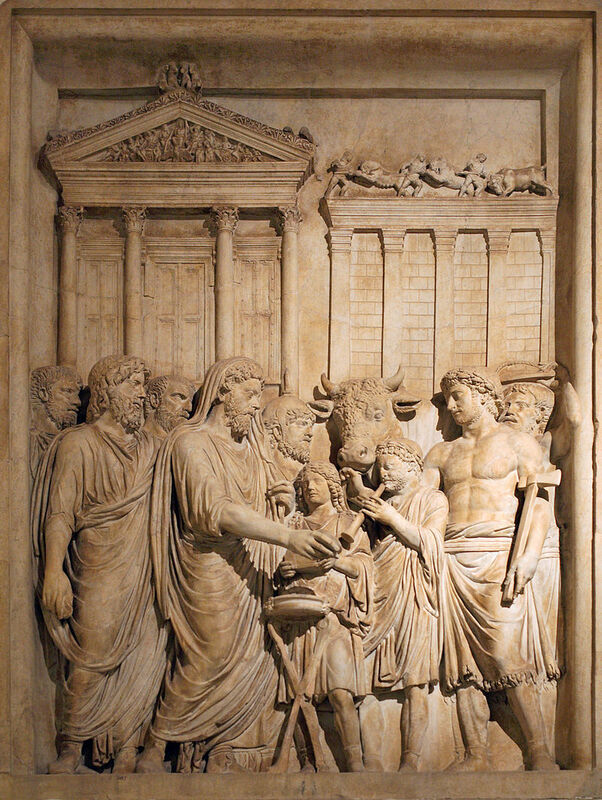 His plight became a media cause célèbre, resulting in a wave of public outrage. In 1957 the government exempted Namatjira and his wife from the restrictive legislation that applied to Australian Aborigines in the Northern Territory. This entitled them to vote, own land, build a house and buy alcohol. Although Albert and Rubina were legally allowed to drink alcohol, his Aboriginal family and friends were not. When an Aboriginal woman, Fay Iowa, was killed at Morris Soak, Namatjira was held responsible by Jim Lemaire, the Stipendiary Magistrate, for bringing alcohol into the camp. He was reprimanded at the coronial inquest. 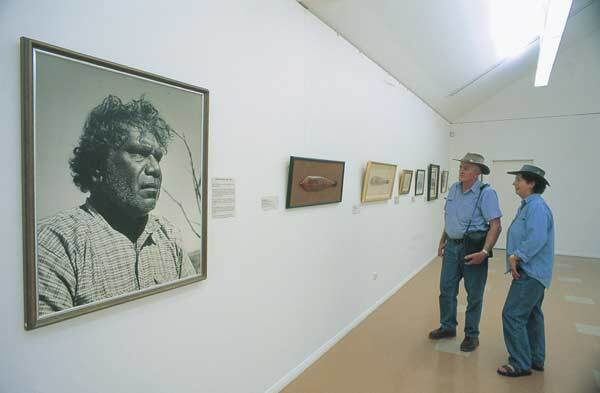 Namatjira was charged with leaving a bottle of rum in a place, (on a car seat), where a clan brother and fellow Hermannsburg artist Henoch Raberaba, could get access to it. Namatjira was sentenced to six months in prison for supplying an Aboriginal with liquor. After a public uproar, Hasluck intervened and the sentence was served at Papunya Native Reserve. He was released after serving only two months for medical and humanitarian reasons. After his incarceration, Namatjira continued to live with Rubina in a cottage at Papunya, where he suffered a heart attack. There is some evidence that Namatjira believed that he had had the bone pointed at him by a member of Fay Iowa’s family (a ritualized curse and death sentence). 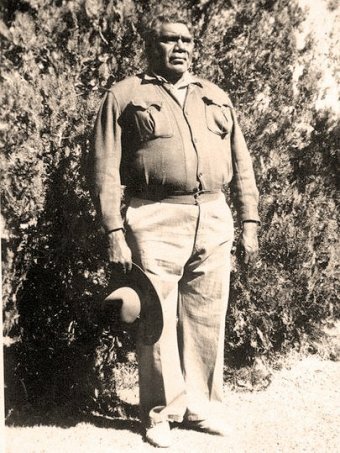 After being transferred to Alice Springs hospital he died of heart disease complicated by pneumonia on 8 August 1959. 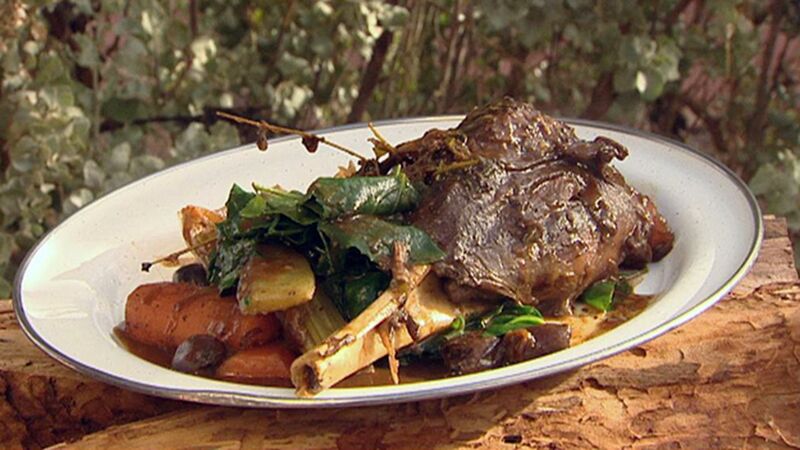 Wallaby stew is noted in songs and poems of the Australian bush. As is fitting for today’s anniversary, the dish is a meeting of indigenous Australian and European cooking methods. 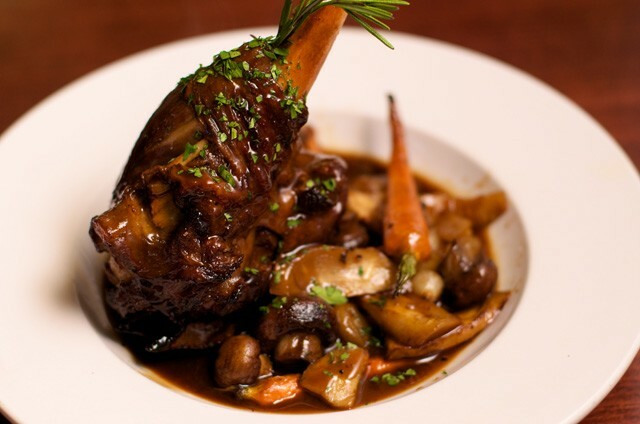 Wallaby shanks are common for the dish and can be treated much like lamb shanks. Outside of Australia you may have a hard go of it finding the meat. Dredge the shanks in flour and brown over medium-high heat in a heavy-bottomed pan. Add the vegetables, thyme, and stock, and bring to a gentle simmer. Season to taste with salt and pepper (or pepperleaf if you can find it). Cover and simmer gently for at least 2 hours, or until the meat is very tender. If need be, remove the meat and vegetables and keep them warm whilst you reduce the sauce. Serve hot with the meat and vegetables covered with sauce.